My photos from the San Francisco Green Festival held 2009 Nov 13 to 15 where I worked as a media volunteer. Visit my blog at blog.meldedbits.org to read more and stay current with my work. Words and images copyright 2009 Rob D. Guettler. Contact "rgweb 'at' meldedbits.org" (replace 'at' with @) for commercial use requests. This work by Rob D. Guettler is licensed under a Creative Commons Attribution-Noncommercial-Share Alike 3.0 United States License. North registration desk. 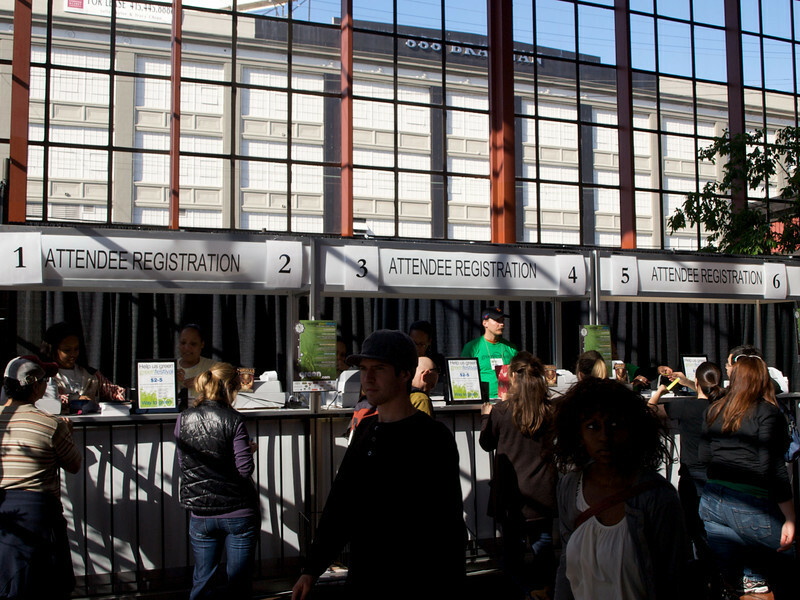 San Francisco Green Festival 2009, Concourse Exhibition Center, 635-8th St., San Francisco, California.